Just Jane: Football Season - Yay? Football is my favorite sport, college or pro. My husband was an even bigger fan. He would get visibly upset or happy when his team was on the screen, screaming advice or admonishments as if the coach could hear him. And he always told his friends how happy he was that he had a “football wife,” because there I was, watching the games right along with him, and putting up with his shenanigans. Mostly. I watched my first season opener today - Northwestern vs. Syracuse. Having gone to Northwestern for graduate school, it was obvious who I was for. Because of that, and the fact that he had a team where one of us went to school and the game was actually being televised, Mason was thrilled to get excited about watching the historically worst football team in the Big Ten. 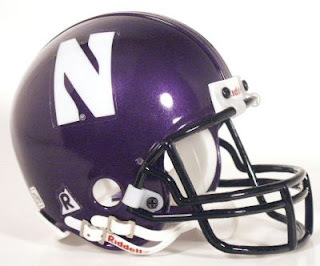 Oddly enough, the year I went to Northwestern, they ended up in the Rose Bowl. Sadly, that was the height of Northwestern’s days on top. Still, we always watched the Northwestern games, or whichever game was on, because after all, football season only lasted six months, not including preseason. 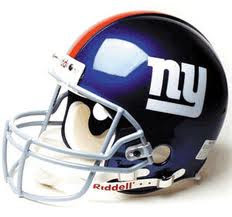 Like everyone, Mason had a favorite team – the NY Giants. He had wearable paraphernalia from an old-fashioned leather-type football helmet to Giants slipper socks, and he wore it all for every Giants game. He would get so worked up, it became my job to talk him down from believing that he was on the field. And if the Giants lost, it would be a miserable Monday. But back to Northwestern. The game was great. Northwestern scored 28 unanswered points, and then Syracuse did the same, bringing the game down to two minutes with Northwestern down by a touchdown. SCORE! Northwestern tied the game at 41-41 and only needed the extra point to walk away with the game. What a game! They scored the extra point and walked away the victors. Yeah for my side. When I turned to Mason to share my glee over a heated game where our team won, he wasn’t sitting there, where he always was when a game was on. He died last year, mid-season. I kept on doing his picks for him in the family football pool anyway, and wouldn’t you know, he ended up winning the whole thing. Watching the Super Bowl alone last year, when Mason’s NY Giants won, was hard. But today I realized that he wouldn’t be sitting in his football chair at all this season. No drama. No Mason. Just me. When someone dies, people always talk about going through first holidays and other events without your spouse, child, parent… I’ve been through his birthday and Christmas with nary a tear, but today, when I looked for him to help me celebrate our victory and he wasn’t there, I can’t say the same. This is a first I hadn’t anticipated having to go through without him, and it isn’t just for a day. The NFL season opener is next week. It’s the NY Giants vs. the Dallas Cowboys, the team that Mason hated the most, so it’s a big game in our family. That game is going to be a hard first, and it’s only the first game of the season. Football will always be my favorite sport. But I think this will be the first year that I’ll wish the season wasn’t so long.